Ellen Lupton will be joined by Doug Thomas, Sandie Maxa, and Mark Sanders to share the best ideas and weirdest insights from their latest books. Discover how storytelling makes the stuff around us more engaging. 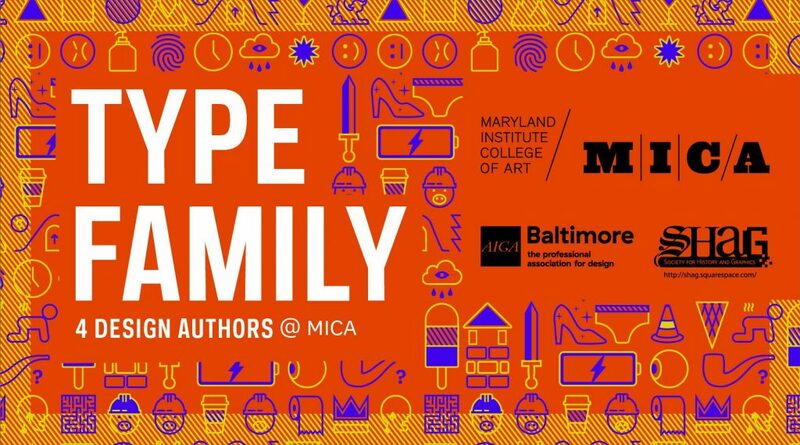 Geek out about the world’s most influential typeface — and it’s not Helvetica! Sample the secret sauce of communication for page and screen. The Maryland College Institute of Art (MICA) presents “Germinal,” a solo exhibition consisting of a site-specific installation by B.F.A. Painting faculty Lauren Frances Adams. The exhibition explores themes converging around feminist activists from American history, domestic ornament in service of political messages, such as Quaker abolitionist quilts and pro-Confederacy secessionist cockades, and the recent removal of Baltimore’s Confederate monuments. “Germinal” opens Saturday, Jan. 20, and runs through Tuesday, March 13, at MICA’s Pinkard Gallery, Bunting Center, 1401 W Mt. Royal Ave. A reception will take place Thursday, Feb. 15, 5 – 7 p.m. 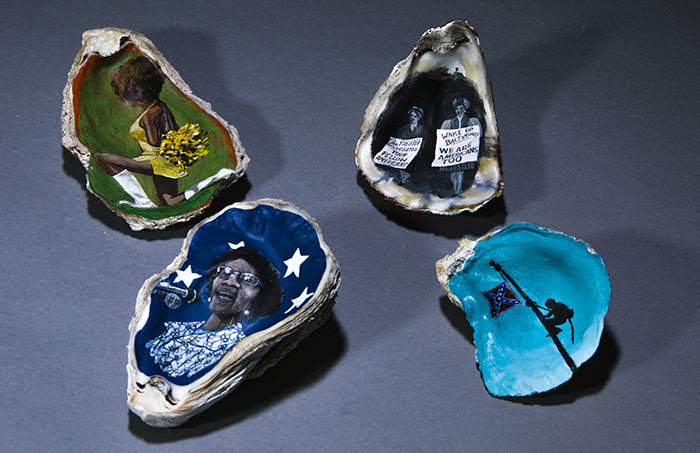 Reflecting on contemporary and historical political movements for the advancement of civil rights in America, Adams’ installation and research-based paintings examine the ways in which white women both helped and hindered progress, as well as the pioneering black feminists who fought for racial justice. Specifically, Adams, whose work often focuses on the history of labor and class, looks at the ways in which feminist activists in American history, particularly women of color from the 18th century through the present day, have been overlooked in favor of white causes. Adams also questions the legacy of white feminists and suffragettes who advanced white feminist issues over black interests and grounds the idea of white culpability in racial injustice to the present day. “Germinal” also showcases the recent public battle over removing Confederate monuments, including the Confederate Women’s Monument, which was located adjacent to MICA’s campus on Mt. Royal Ave. and dismantled by Mayor Pugh in August. “Given the recent movement to remove Confederate monuments across the country and in Baltimore, I wanted to create work that responds to the dichotomy between these efforts and the palpable civil and political unrest that has taken hold of the national body politic,” said Adams. The installation of “Germinal” will transform the gallery space by applying custom wallpaper designs and patterns to the normally white wall space, and will feature collections of painted found objects, such as stacks of locally reclaimed brick from Baltimore featuring patterns and designs reflecting resistance to white supremacy, and oyster shells sourced from Maryland’s Choptank River—where Harriet Tubman lived—with portraits of activists painted on the inside of the shells. The objects will be incrementally added to the installation throughout the exhibition, accumulating (or “germinating”) over time as though growing out of the initial object. The title is also a play on the word “seminal,” acting as the feminine counter to the male-dominated concept of historicity and plays up the role of women in enacting—or hindering—social change. “The works on display encourage a consideration of the ways in which public visual culture has contributed to the reinforcement of Confederate spaces and values, while also highlighting the long history of women who resisted (racialized and gendered) oppression and the continuation of these struggles today,” Adams said. “Germinal” is supported through a Marcella Brenner Grant for Faculty Development and Research, which annually funds projects that contribute to MICA faculty members’ professional, artistic or scholarly research and development. “Germinal” will be accompanied by an exhibition catalog featuring an essay by MICA Humanistic Studies faculty Christine Manganaro. Lauren Frances Adams’ work engages political and social histories through iconic images and domestic ornament. At the core of her work are critical explorations of labor and class in visual culture. She draws heavily upon the historical decorative arts, such as wallpaper patterns, quilts and paintings, to find contradictions within the contexts they originated. Alongside painting and mixed-media installations, domestic materials take shape in her research on the construction of political identity. Image: “Germinal: Bricks and Oysters Series,” Choptank River oysters, mixed media paint, 2017. Thursday, Feb. 15, 5 – 7 p.m.
“Counternarratives” highlights landmark artistic and political actions from 1955 to the present that challenge the social, political and cultural status quo. The Maryland Institute College of Art (MICA) presents “Counternarratives: Performance and Actions in Public Space,” an exhibition curated by students in MICA’s Exhibition Development Seminar (EDS) that highlights significant performative actions, both artistic and political, from 1955 to the present through a global timeline installation and commissions of new performances in local public spaces. “Counternarratives” is on view Friday, Feb. 2, through Sunday, March 11, at MICA’s Decker Gallery, Fox Building, 1303 W. Mt. Royal Ave. A reception will be held Thursday, Feb. 15, 5 – 7 p.m. 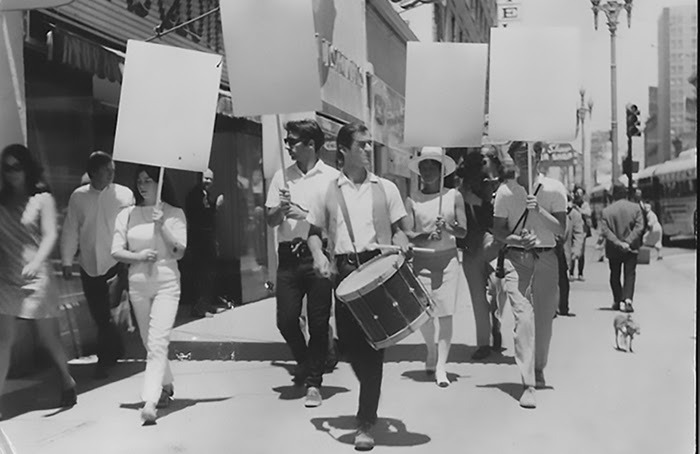 Using Rosa Parks’ historic act of civil disobedience on a public bus in Montgomery, Alabama, in 1955 as the starting point and conceptual framework of a sculptural timeline, “Counternarratives” charts 55 case studies of performative protest through the present day that honor Parks’ protest against racial injustice. The final two years of the timeline are dedicated to performances and actions in Baltimore since the 2015 uprising and will incorporate newly commissioned performances at various locations in Baltimore. The exhibition features a selection of performances and actions that challenge social, cultural and political conditions, as well as those that reclaim and question normative uses of public space in urban environments. The timeline invites viewers to contemplate how the human body functions as a catalyst for positive social and political change. Established in 1997 by then Curator-in-Residence George Ciscle, the Exhibition Development Seminar is a yearlong course designed to examine the curatorial process and explore new ways for students to engage with local artists, cultural organizers, activists, curators and museum and gallery professionals. Led by Art History, Theory & Criticism faculty Monica Amor, the 2017-2018 Exhibition Development Seminar is supported by class mentors Gerard Leavell, Graham Coreil-Allen, Nick Petr and Bashi Rose, as well as advisors Alex Oehmke and Jeff McGrath. Image: Anna Halperin, Blank Placard Dance, 1970. When asked “What are you protesting?” the performers responded “What do you want to protest?” and collected the answers.